Water is an essential element for agriculture. We assume that plants grow better if we give them a good amount of water. But water is becoming a limiting factor for agriculture, as drought plagues an increasing number of croplands in many parts of the world. We now even attempt to tackle the issue of “virtual water.” Virtual water quantifies the transfer of water included in products. If you import tomatoes from other countries, you are also importing the water included in the tomatoes. It is an effort to create a global water distribution portfolio, so that we can minimize the water distribution imbalance, as water becomes more scarce. This reminds us that one of the major “ingredients” in crops is actually water. 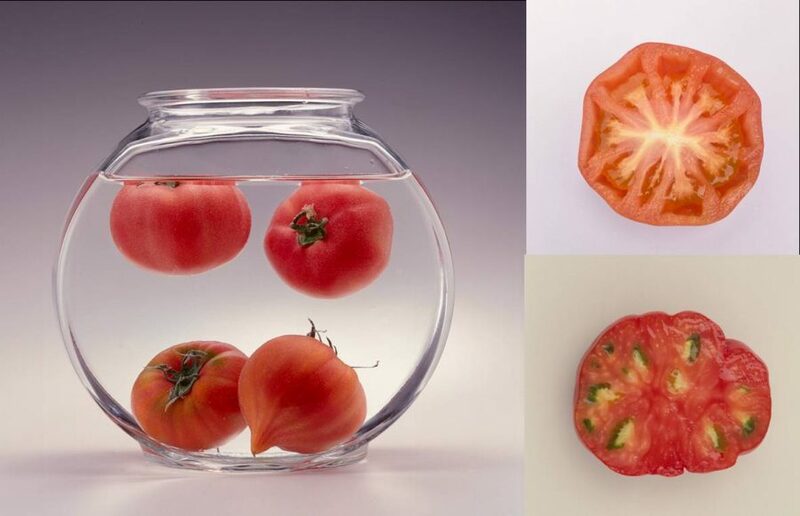 More than 90% of a tomato is water. So essentially we are consuming water when we eat tomatoes. That’s why water is so important for agriculture. This is contradictory. Water is becoming increasingly precious for agriculture, but vegetables or fruits that contain too much water may taste soggy, diluted and flavorless. It would be worthwhile to revisit the relationship of water and crops. How much water is actually essential for growing vegetables and fruits? What is the inherent ability of plants to thrive and deliver delicious fruits? What is the impact on plants if we need to reduce the amount of water? The Nagata farming method, also known as the fasting farming method, focus on plants’ amazing resilience to thrive with minimum water and nutrition. Nagata farming appears in Chapter 1: Power of Zero as free content. We highly recommended that you read the entire chapter because it is the foundation of this project. But if not, here is the quick link to the content on Nagata farming method.